yeast Archives - What the Forks for Dinner? Although I have never been to an Indian restaurant, I do know about Naan bread. 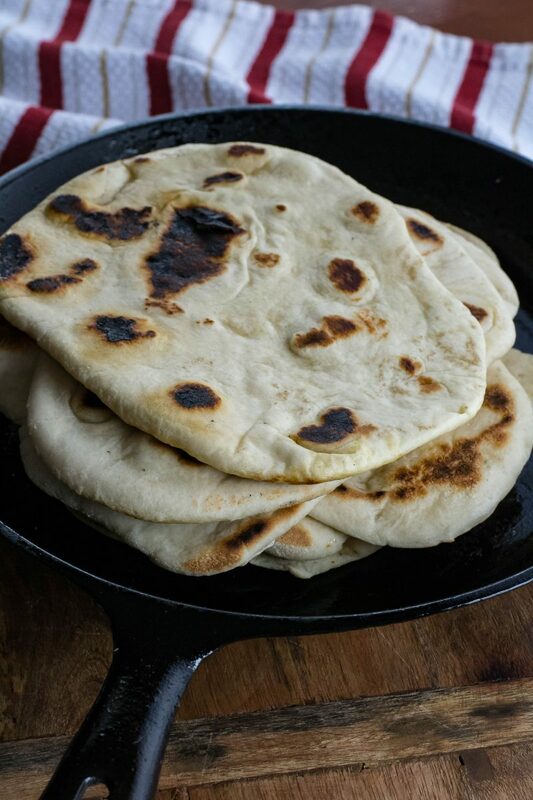 Cast Iron Skillet Naan is my nod to Naan. 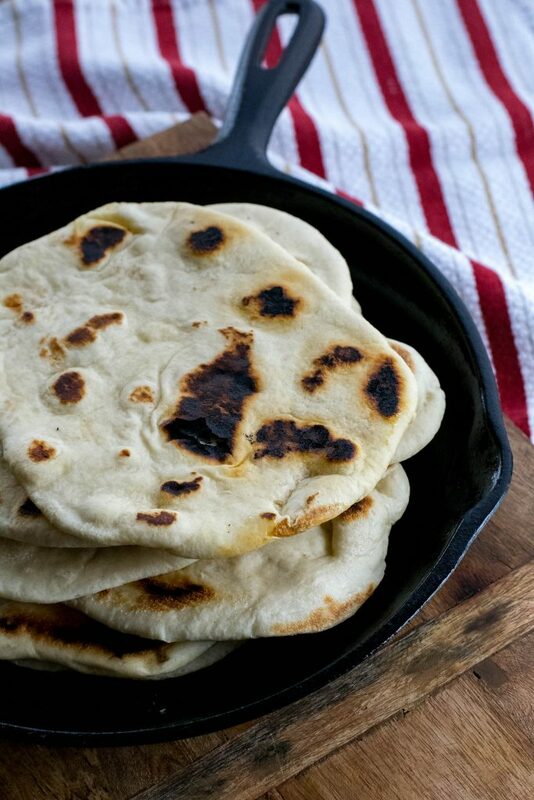 Naan has a light flavor and soft texture that makes this a popular choice as a vessel for scooping up the remains of our chosen dish. Not being familiar with Indian food I understand it is served with many an Indian meal. Today was another freezing *#&%$#@ cold day. To cold for school. I must say that the beauty of working for a school, besides winter break, spring break, summers off, and a smattering of long weekends, is the occasional surprise day off. You know for a snow storm, or as was the case today a wind chill that would freeze you to the spot in a few seconds. 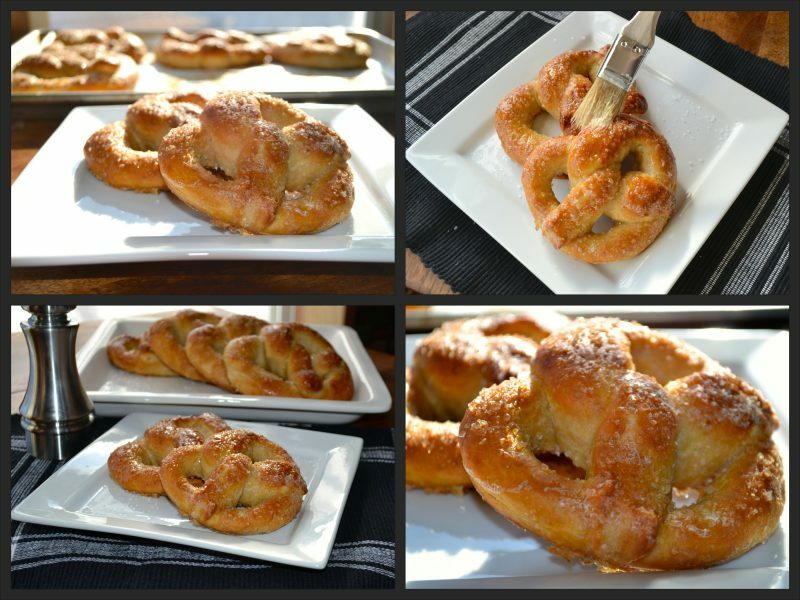 Well yeah ……… I got to cook all day……..or should I say bake……..soft, chewy, warm buttery pretzels………sorry I lost my train of thought. Having the oven on all day……..I made a few other things…..stay tuned…….. took the chill off the house quite nicely.